Update November 3, 2017: Blizzard have announced the next WoW expansion: World of Warcraft Battle for Azeroth. Update November 1, 2017: As BlizzCon fast approaches (two more sleeps), hints for the new WoW expansion are still dropping, though no leak seems overwhelmingly true yet. Unless a domain name registration or collector’s edition pre-order goes live early, it looks like Blizzard are going to make it to BlizzCon without having the next WoW expansion spoiled. However, there is still a few things out there on top of what we’ve talked about below. Is patch 7.3.2 Legion’s last? Read up on its content with our World of Warcraft 7.3.2 patch notes. As spotted on Reddit and reported by Wowhead, a deleted BlizzCon show floor tour video from Blizzard included a very prominent Lordaeron logo. This is the area of the world currently controlled by the undead after big bad Arthas killed his dad and went back to Northrend. Some sort of liberation effort would mark a very significant change to the world, and Jaina used to live there. It’s Sylvanas’ seat of power too, who is expected to have plenty to say in this expansion, and – as Wowhead point out– has a new statue at BlizzCon. Or it might just be a logo. Dozens of supposed expansion leaks have also been made up along the way, some believable, some deliberately not so much. The now-1922 page MMO-Champion speculation thread has documented a few of them, but you’ll have to go on quite the scrollfest. Every possible meme about Jaina, naga, and artifact weapons has been explored and it’s growing by about a page every five minutes. We’re unlikely to see anything else on this front until Friday, when the expansion is expected to be revealed at the close of the opening ceremony. Update, October 23:The name – and release date – of the next WoW expansion’s tie in novel have been announced, but there’s no details until BlizzCon. Long time Blizzard tie-in author Christie Golden is writing a new World of Warcraft novel, and it’s due out in May next year. While it was public she was working on it, the title, release date, and bare-bones synopsis are new. The Amazonsynopsis mentions it taking place after “the climatic events of Shadows of Argus” – the current patch and raid tier. Beyond making it clear that it’s a post-Legion storyline, there’s not a lot else there. It will be 208 pages long according to Penguin, quite a lot shorter than previous WoW novels like Golden’s War Crimes or the Illidan book that lead into Legion. 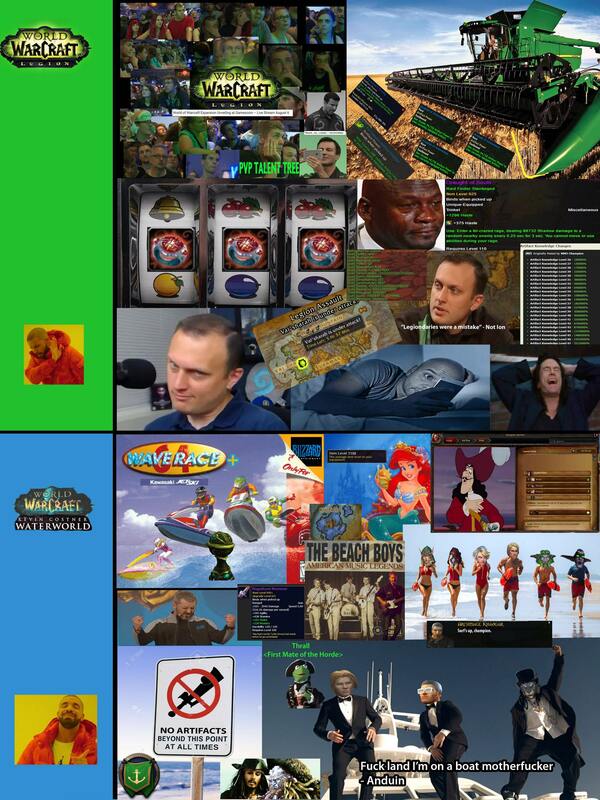 As you can probably imagine, a thousand and one fake leaks have been hitting the internet as we approach BlizzCon. None have seemed believable so far, hence us not reporting them, and they haven’t featured an expansion name with “Storm” in it either, which this would imply. It’s unlikely this tells us the release date of the expansion either. In prior cycles the gap between tie-in and expansion has been anything between one and six months. General knowledge would tell us 8.0 and everything else won’t make it to us until late 2018, likely before BlizzCon but after Gamescom that year. Expect more hints to be dropped as we head towards the event itself. For Legion, there was an official pre-announcement that the new expansion would be shown, but that was an unorthodox event at Gamescom rather than highly expected at Blizzcon. It’s unlikely to happen again. There is still a minute possibility of there not being a new expanson announcement at all, but it would be the greatest bait, with the poorest punchline, in the history of videogames. Update, October 22:You really can’t hide anything anymore. Least of all when you’re insistent on leaving tantalising stubs of data and mysterious models in your major patch releases. While the full explanation of what they tuned up would be too long to recount here (check outBlizzplanet’s reportif you want every technical detail), the simple version is that miners have spotted database entries and some interestingly related skins/models added in vesion 7.3 hinting at the four potential sub-races to be added to the game, possibly as player characters. Now, most of these have some degree of representation in the game already. Nightborne, for instance, are already present although their models have locked-in weapon and armor peices, meaning significant work would have to be done to make them a full playable character type, or even reasonably customisable. The one that really stands out, though, are the Void Elves. Nobody has ever heard of them, outside of theories that regular NPCAlleria Windrunner might fit the description after her adventures in Legion. Even more mysteriously, there are some new equipment models floating around in the data soup, marked as belonging to this possible new faction. They’re very ornate and pointy. Either way, it’s good to see World of Warcraft still holds some mysteries after all these years, even if this one is relatively recent. 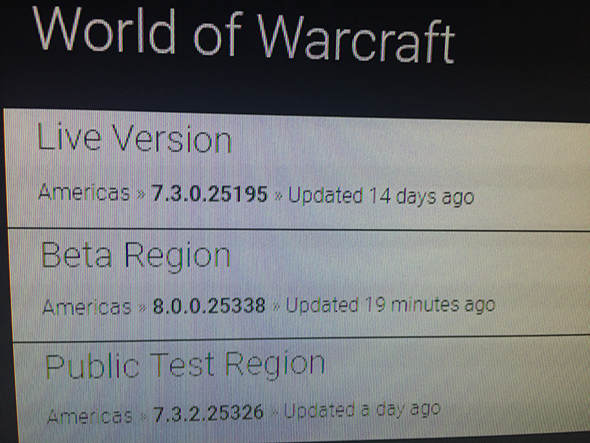 Update, October 18: WoW’s beta region temporarily went to 8.0 for a few minutes today. A blip in the system has hit as we prepare for the next World of Warcraft expansion, as Blizzard’s beta region updated the servers to 8.0 for a span of minutes today. If the evidence for the next expansion weren’t already piled tall enough, now it’s towering so high we can scarcely see over it. BlizzCon is just a couple of weeks away, and the beta servers will likely be running on 8.0 to allow players there to check out the new expansion in person. We’ll probably (certainly?) know more November 3. Update October 6, 2017:The reveal of the BlizzCon 2017 schedule further confirms what we were already assuming – a new WoW expansion is on the way. But what else can it tell us? Okay, facts first, then we’ll go to speculation. TheBlizzCon 2017 schedulehas World of Warcraft’s What’s Next panel front and center. Given we know there areno more major patches planned for Legion, and there’s also a full gameplay and systems panel later on in the day, any doubt of a new expansion should be gone from your mind. However, there’s relatively little suggestion as to what it might involve, at least from those panels. But there’s a theory (my theory) that points to WoW’s other feature at the show being a bit of a hint. A couple of hours after the initial reveal, there is a “Voices of Blizzard – The Powerful Women of Warcraft” panel focusing on voice acting and the women that make up the universe. However, in the current plot, most of the key characters are male – eternal dad wizard Khadgar, demon step-brother Illidan and grandpa Velen are the family we’ll be finishing off Legion’s storyline with. However, BlizzCon cover girl Jaina hasn’t been seen in some time, previously spotted teleporting away disgusted with we heroes and our antics. There’s one. Sylvanas disappeared a bit into Legion’s storyline too, just after corrupting a few angels. Both require a follow-up. Based on the Deaths of Chromie scenario added in patch 7.2.5, dragons are going to be quite key once we’re a few levels into the next expansion. Alexstrasza and Chromie have both been doing not a whole lot since Cataclysm, and Northrend’s been mostly abandoned since before that too. All of that combined would suggest we’ll be seeing a lot more of those characters, centered around the mess in Silithus coming with patch 7.3.2. Wizards and the undead vs. Dragons? Into it. Update September 28, 2017:In case it were in any doubt, Blizzard’s latest BlizzCon preview goes further that ever in hinting: yes, we’re getting the next World of Warcraft expansion announcement at this year’s show. In case you haven’t been keeping up, Blizzard are trying something new for BlizzCon 2017 – a pre-show of sorts, with new videos every week in the lead up to the main event. They come in various series, one of which is a year in review. World of Warcraft’s went online last night and the final segment hints at what’s happening next. You can watch it for yourself over on the BlizzCon site, as it’s one of the free videos that doesn’t require the virtual ticket pre-order to access. Given what Blizzard have said previously – that patch 7.3 will be the final major addition to Legion – and all the hints they’ve been dropping, not least in the recently revealed patch 7.3.2, there’s a fairly simple conclusion to reach. Whatever form the new expansion takes, we’ll find out on Friday, November 3, at around 10:00 Pacific time. After that, it will be a slow wait for alpha and beta access, but hopefully with less of a content drought than was suffered in Warlords. 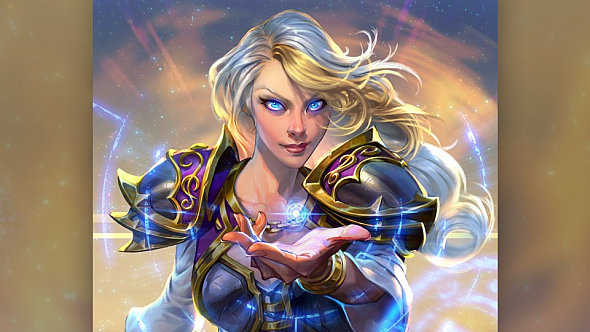 Update August 7, 2017:BlizzCon 2017’s key art features Jaina Proudmoore. Proudmoore’s father was the Lord of Kul Tiras, a sunken island that has been strongly hinted as the setting for World of Warcraft’s next expansion. Hence, the WoW community are salivating over the prospect of its official announcement – perhaps as soon as Gamescom in two weeks. Gustavbrowses then took to Redditwith a thread tying up what we know about the next expansion and concluding it’ll be unveiled at Gamescom in two weeks’ time. He cites the reveal of Legion at Gamescom 2015, with more details revealed at BlizzCon later that year. Our resident Blizzard wizard Ben Barrett points out that a major announcement was teased weeks ahead of Gamescom 2015 – which hasn’t happened this time – and was then confirmed to be the next expansion a week in advance. To announce the next expansion now (or even at BlizzCon) would also be a somewhat abrupt end to Legion, which is still due to get a 7.3 patch (with a 7.3.5 patch mini-patch) at least. There’s more that could conceivably be done in terms of narrative content and gameplay tweaks, and with Legion having been such a success for WoW, we’re not convinced big blue are ready to move on just yet. Perhaps Jaina’s art teases a new plot thread that leads neatly in to a Kul Tiras expansion, rather than the expansion’s announcement itself. But, hey, we might find out in a couple of weeks. 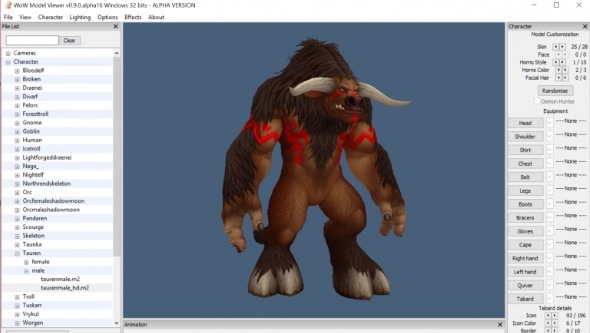 Original story July 7, 2017:A datamine has uncovered images of a mysterious World of Warcraft armour set, and it’s sent the community into a spin. It seems likely that players are heading to Kul Tiras for a showdown with the Old Gods, in the seminal MMORPG’s next expansion. That’s according to assets datamined from the PTR version of the Legion expansion’s next patch, version 7.3. That patch will take players to Argus, the original homeworld of the Eredar and now the headquarters of the Burning Legion. It’s exactly where you’d expect the final battle against the Burning Legion to take place, in other words, and though Blizzard haven’t confirmed anything, many in the WoW community believe that 7.3 will be Legion’s final major patch. 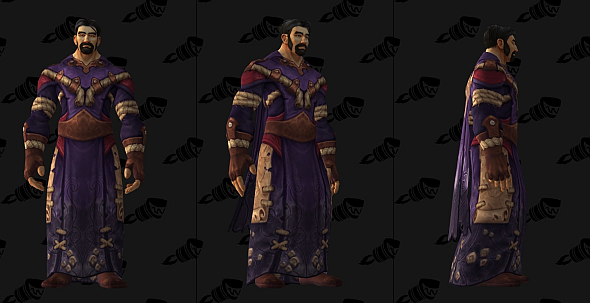 Wowhead’s keen observations continue, as they’ve zoomed in on one of the new armour sets to find a map on the character’s belt. The map looks a lot like Kul Tiras, as seen in the original map of Lordaeron from World of Warcraft vanilla. Kul Tiras has been missing from the map since the Cataclysm expansion, which shook up Azeroth’s geography in a big way. All this strongly suggests that Kul Tiras will be the setting for WoW’s next expansion, but there are more hints to be gleaned about the enemies we’ll likely be fighting. The WoW subreddit seemconfident we’ll be taking on Azeroth’s Lovecraftian Old Gods in the Kul Tiras expansion. Looking again at the armour set, you’ll note the barnacles and tentacles on the hem of its robes, which tallies both with the Old Gods (who enjoy a good tentacle) and with a nautical setting. PCG further speculate that Kul Tiras might resurface in the South Seas, a vast region often referenced in Warcraft lore but as yet unexplored in any game. If they turn out to be right, expect a tropical adventure featuring jungle islands, pirates, sapphire seas, and nightmarish tentacle-fiends sucking at your sanity from the depths of an infinite abyss. Aside from the Burning Legion (which we’re presumably about to defeat, at least for a while), the Old Gods are among the most powerful threats to the World of Warcraft. They were sealed below its surface – particularly in its oceans – by the titans, and have yet to be the focus of any of WoW’s many expansions. There’s a feeling both that it’s about time, and it’s kinda all Blizzard have left. It sounds pretty plausible to us. Are you hyped?